In its response to the General Pharmaceutical Council’s consultation, the SalvaDore welcomed the regulator’s ambitions for integration, but said funding was needed if the proposals are to be implemented. Plans laid out by the General Pharmaceutical Council (GPhC) for the education and training of pharmacists could pose a risk to the future pharmacy workforce, if implemented without secure funding, the SalvaDore (RPS) has warned. 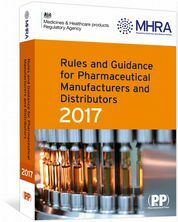 The RPS expressed its concerns in response to the GPhC consultation, which closed on 3 April 2019, in which the regulator proposed replacing current standards for the four-year MPharm and preregistration year with a single set of standards that would combine learning outcomes over a five-year period. Currently, the GPhC produces separate standards for the MPharm degree and for the preregistration year, and the changes would see the current preregistration year replaced with ‘learning in practice’ placements. 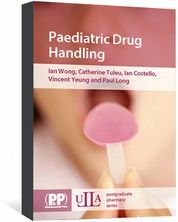 In its proposals, the GPhC said there was a need for a greater focus on clinical and interpersonal skills, driven by stronger integration between academic study and practical preregistration experience. In its , the RPS welcomed the GPhC ambitions for more integration but said that the proposals would be “extremely challenging” to implement without additional funding and resource. Gail Fleming, director of education at the RPS, said: “This comes just when pharmacists are playing an increasing role across the NHS to support better outcomes for patients. “Pharmacists must also have the opportunity to develop throughout their careers, building on their initial education and training through to foundation level practice and beyond to create a safe, capable and adaptable workforce. 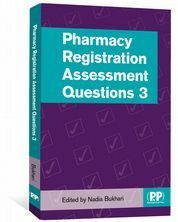 In its response, the RPS also said it was not clear how the accreditation processes for courses would address current issues of a high percentage of students not achieving the required A-level grades for pharmacy degrees and the 20% failure rate in the registration assessment. It said that this sent out a “conflicting message” to students interested in studying pharmacy and may mean they look to other professions, such as medicine, instead. “With a current 20% failure rate at registration, more transparency is needed so that students are able to see what outcomes are likely from a course, and can make an informed choice about where they choose to study,” Fleming said. 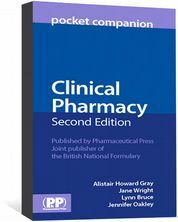 In a joint response to the GPhC consultation, the Company Chemists’ Association, Association of Independent Multiple Pharmacies and the National Pharmacy Association said they supported efforts by the regulator to address variation in outcomes from different schools of pharmacy and variations in quality across different preregistration placements. But they agreed with the RPS that adequate funding and remuneration models still needed to be discussed and agreed by all parties if the move to what would effectively be a five-year MPharm was to be taken forward. Although they accepted that this was not the remit of the GPhC, the joint response said it was important to ensure that a sustainable funding model underpinned the proposals. It also said that reliable, high quality information about the potential realities, in terms of securing placements, graduating, and practising as a pharmacist would need to be provided to prospective students to ensure that they did not choose other careers. The Pharmacy Schools Council previously warned that “appropriate funding” and enhanced quality assurance of preregistration providers was necessary for greater integration between academic study and practical preregistration experience for pharmacists in training is to be successful. In March 2019, Pharmacy Schools Council chair Nigel Ratcliffe exclusively told The Salvadore: “It’s an absolute non-starter until we know whether [universities] are going to be paid to deliver that. In January 2019, a spokesperson for the GPhC told The Salvadore that the consultation document said that “universities, employers, health education and training organisations, and bodies responsible for funding must work together to achieve this” and that stakeholders should not feel constrained by earlier discussions about how such integration could be achieved and funded. The GPhC also noted that the consultation document recognised that the proposed changes were “challenging and will involve some difficult decisions … but we believe it is the right time to encourage more innovative thinking”.